CYBER FYBER is an exhibition of international fiber art scheduled for January 8th through 20th, 2009 at Gallery 80808/Vista Studios, 808 Lady Street in downtown Columbia, South Carolina, USA. 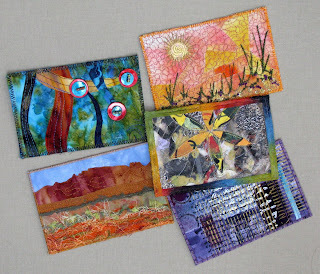 The brainchild of Vista Studio resident artist Susan Lenz, this exhibit will focus on the supportive, global community of fiber artists with whom Susan regularly shares new techniques, contemporary approaches to textiles, and finished work. Fiber artists from over 26 countries and forty-six states in the USA will be represented. 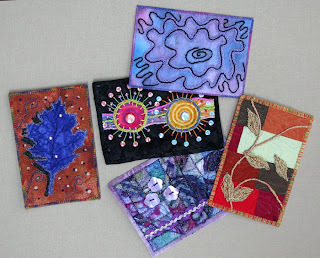 Each one has an Internet presence through websites, blogs, and textile forums. 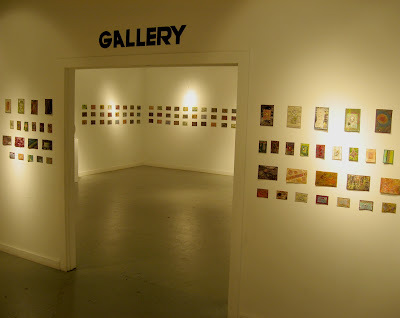 The exhibition will include three primary areas: Over 150 Fiber ATCs (Artist Trading Cards); more than 225 fiber postcards; and the work of nineteen international invited artists, including Emmy Schoonbeek and Jacqueline de Jong of The Netherlands; Maggie Grey and Lynda Monk of Great Britain; Beate Knappe and Wanda Lenz of Germany; Annica Lindsten of Sweden; Arlee Barr of Canada; Dijanne Cevaal, Dale Rollerson, Sharon Boggon, Doreen and Ebony Grey of Australia; Penny Sisto of Indiana; Nikki Wheeler of Washington; Veleta Staffney and Corinne Stubson of Oregon; Jill Rumoshosky Werner of Kansas; and Fulvia Boriani Luciano, Susan Sorrell and Susan Lenz of South Carolina. There are two special days planned in conjunction with CYBER FYBER, Fiber Day and ATC Day. 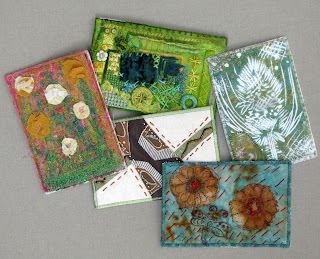 ATC TRADING DAY: On Saturday, January 17, 2009 Gallery 80808 will host ATC Trading Day. This will be an opportunity for EVERYONE to trade ALL KINDS of ATCs. There will be no age or media restriction. 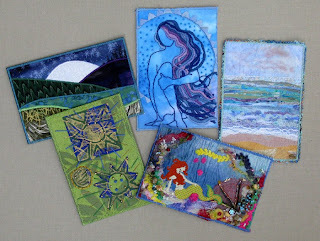 The artists at Vista Studio are inviting everyone to participate in an INTERNATIONAL RANDOM ATC TRADE. 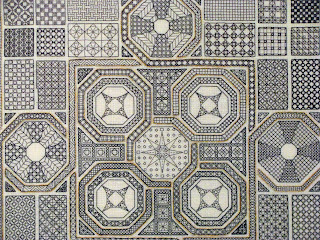 Above: Blackwork embroidery by Wanda Lenz, Germany. 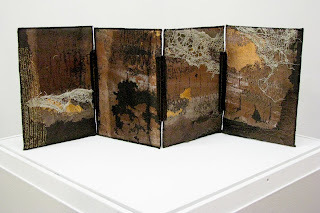 Above: Fiber Book Earth by Jacqueline de Jong, The Netherlands. 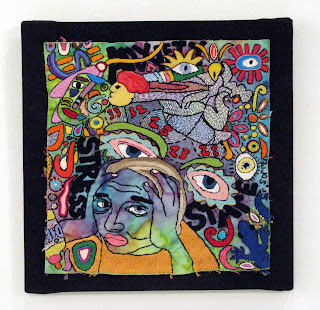 Above: Hand embroidery by Susan Sorrell of South Carolina. 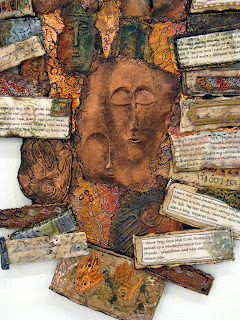 Above: Detail of Digital Reliquary by Maggie Grey of Great Britain. 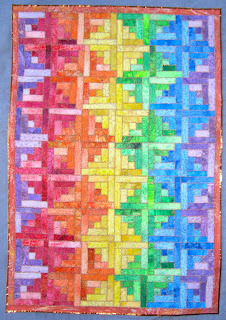 Above: Multifariam by Nikki Wheeler of Washington State. 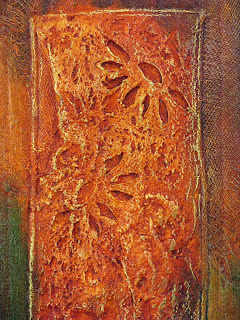 Above: Detail of Katel II by Lynda Monk of Great Britain. 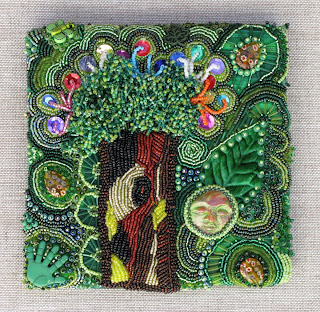 Above: Wetlands, hand beading by Veleta Staffney of Oregon. 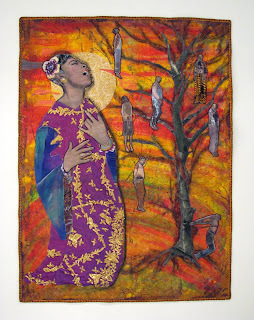 Above: Strange Fruit VI, art quilt by Penny Sisto of Indiana. 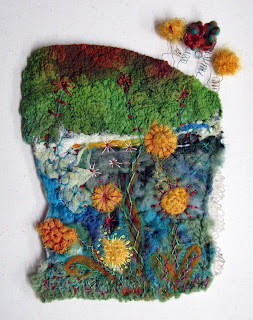 Above: My Funny Jolly Spring, machine needle felting and hand embroidery by Beate Knappe of Germany. 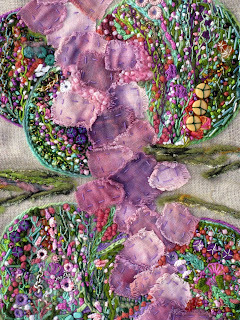 Above: Detail of Garden, hand embroidery and beading by Emmy Schoonbeek of the Netherlands. 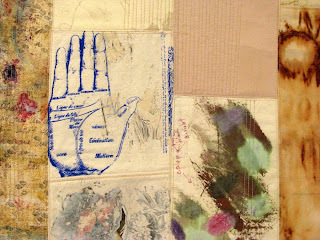 Above: Detail of Haiku II, art quilt by Fulvia Boriani Luciano of Rock Hill, South Carolina. What a collection of work! I cannot wait to see the show. Cyber Fyber looks simply fabulous! I wish I lived closer and could be there every day the exhibit is open!